We are excited to announce the opening of housing and registration for NAHSE’s 29th Annual Educational Conference. 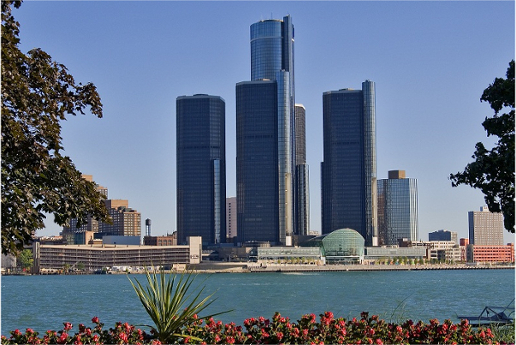 This year’s conference is being held in Detroit, Michigan at the Detroit Marriott at the Renaissance Center, October 14-18, 2014. The conference theme is Transformation in Leadership: From Volume to Value….Be The Change. Please visit our website at www.nahse.org, click on the “Conference” tab, you may either Download the Conference Registration Brochure or register on-line by clicking “Register For The Conference”. The deadline for early registration is August 31, 2014. A full conference registration admits you to all sessions, forums, Expo Hall, Opening Networking Reception, President’s and Leadership Luncheons and the Gala & Awards Dinner. NAHSE members receive substantial discounts on early and regular registration fees. All registrants who indicate that they are NAHSE members will have their membership status verified to ensure that membership is current and valid. If membership is not current or valid, registrants will be contacted to update their membership status. A block of rooms have been reserved at the Detroit Marriott for NAHSE Conference attendees at a special group rate of $165.00 single/double occupancy plus 15% state/local taxes. Conference attendees must book your hotel room by Wednesday, September 17, 2014 to receive the group rate. For reservations, call 877-901-6632 ; please request the group rate for NAHSE 2014 Conference. You may also book your reservation on-line at Online Hotel Reservations. Housing at the Detroit Marriott will be in high demand, so we strongly recommend making your reservations early. Case Competition Student Hotel Rates A limited room block is available at a special rate of $100.00 single thru quad occupancy plus 15% state/local taxes for Case Competition participants ONLY! Participants should reserve your room for the student rate directly with Brian Parker at brian@parkercm.com or 407-297-8936 , the hotel will not honor this rate via the reservation phone line or on-line booking. 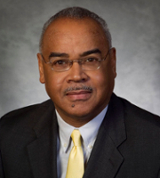 Dr. Gail C. Christopher, D.N. 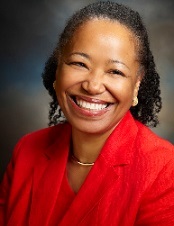 Dr. Gail Christopher is vice president for program strategy at the W.K. Kellogg Foundation in Battle Creek, Michigan. Gail is a nationally recognized leader in health policy, with particular expertise and experience in the issues related to social determinants of health, health inequities and public policy issues of concern to our nation’s future. She brings extensive knowledge and experience in creating a comprehensive approach to well-being and is nationally recognized for her pioneering work to infuse holistic health and diversity concepts into public sector programs and policy discourse. This trio stood firm in their mission and together became one of the most remarkable success stories of inspiration, dedication and determination. 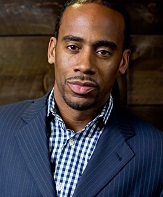 Jeff Johnson is an award-winning journalist, social activist and political commentator, and author. From his celebrated conversations with marquee world figures in the political, business and entertainment arenas to his grass-roots trench work to inspire the next generation of leaders; investigative journalist, political correspondent, and activist, Jeff Johnson continues to be a trailblazing social entrepreneur and authentic voice for change. The three key areas of focus are: Education, Advocacy and Community Change, this forum will emphasize the importance of Public Policy and Advocacy, utilizing a platform of connecting the social determinants of health in an engaging and interactive way.